Posted by Douglas Fisher on Tuesday, April 12, 2016 in News. 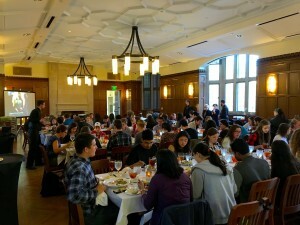 On April 10 Warren and Moore hosted a dinner for students, faculty, and staff on sustainable food at Alumni Hall, in cooperation with SPEAR and ORBIS. Concerns with animal treatment and the environmental consequences of industrial meat production led us to an all vegetarian menu, the specifics of which were developed by Vanderbilt Dining. As always, the food was delicious — you can find the menu below. 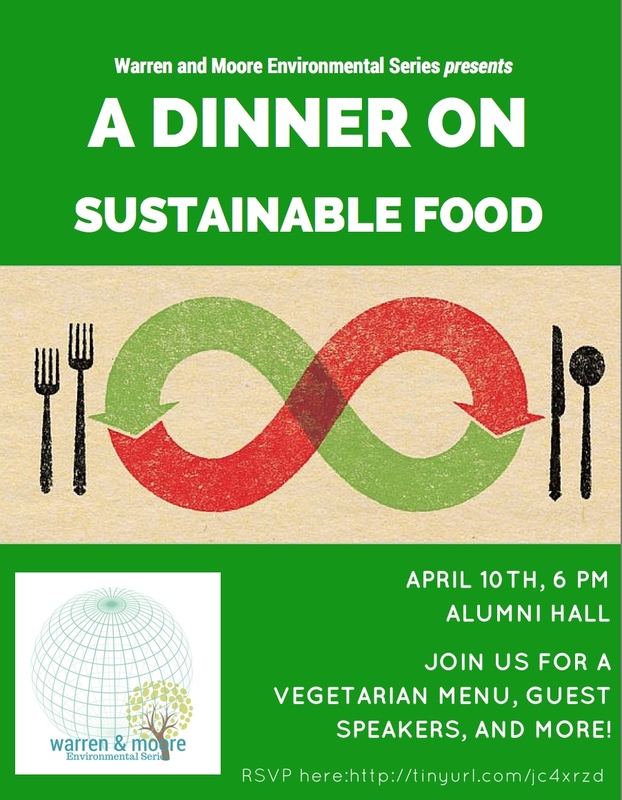 In addition to WaM students, who made up the large majority of diners, and SPEAR and ORBIS members, representatives of the Vanderbilt Initiative for Vegetarian Awareness and Vanderbilt Food Justice were also in attendance. Faculty and staff environmental advocates in attendance were professors Beth Conklin (Anthropology), Teresa Goddu (English, American Studies), Zdravka Tzankova (Sociology), and Linda Breggin (Law, Environmental Law Institute); Andrea George (Director) and Chelsea Hamilton (Outreach) of SustainVU; Anna Guengerich (Anthropology); and Suzanne Herron, Sustainability Coordinator for Campus Dining. About 30 minutes into dinner, I thanked everyone present on behalf of Warren and Moore, made introductions, then invited up Director of Dining, Chef Camp Howard. Camp gave his presentation on food service at Vanderbilt through the lens of environmental sustainability. As an aside, Camp’s powerpoint presentation might not have happened without a very competent Moore student who was working the Alumni information desk earlier in the afternoon — she pulled together and set up the needed resources in time, despite my miscommunication to Student Centers regarding the needed equipment. Camp addressed many topics, including energy use in Dining’s operations, recycling and composting practices, sourcing local foods, and challenges resulting from the “to-go preference” among many students. Regrettably, I sometimes succumb to the illusory convenience of the to-go option too. Q&A followed the talk. One question, perhaps rhetorical, but in any case very thought provoking, was whether Vanderbilt, as an institution of higher education that is dedicated to the future of its students, simply not accommodate the “to-go preference” of many students, and faculty/staff too! As at the Commons, why not eliminate the to-go option campus wide? Why not? Or perhaps allow the only to-go option to be an innovative program, which Camp told us about, of reusable to-go containers. Dining had developed this with SPEAR a while back. The program is not active now because the Vanderbilt community didn’t embrace it, but what if it were the only to-go option, for the truly hurried? 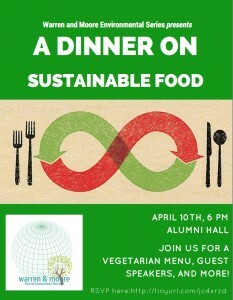 The sustainable food dinner was the third in the Warren and Moore Environmental Series. Each semester, since Spring 2015 — a real tradition now! — WaM plans and (co-)sponsors an environmentally-themed event. Last semester (Fall 2015), WaM cosponsored a visit by and dinner with novelist Nathaniel Rich, and in Spring 2015, WaM inaugurated the series with a panel on the California water crisis, featuring Vanderbilt grad student Christopher Wold, and alum Dr. Debra Perrone, who participated by video conferencing from Stanford University. The most recent event in the series was conceived when a Vanderbilt student wrote WaM leadership about the excess of waste, notably faux glassware (aka plastic), at our big October celebration in 2015 — waste that apparently was not being recycled. We took it seriously, and indeed, had a similar, but unexpressed, concern. Next year, I hope that we plan differently. 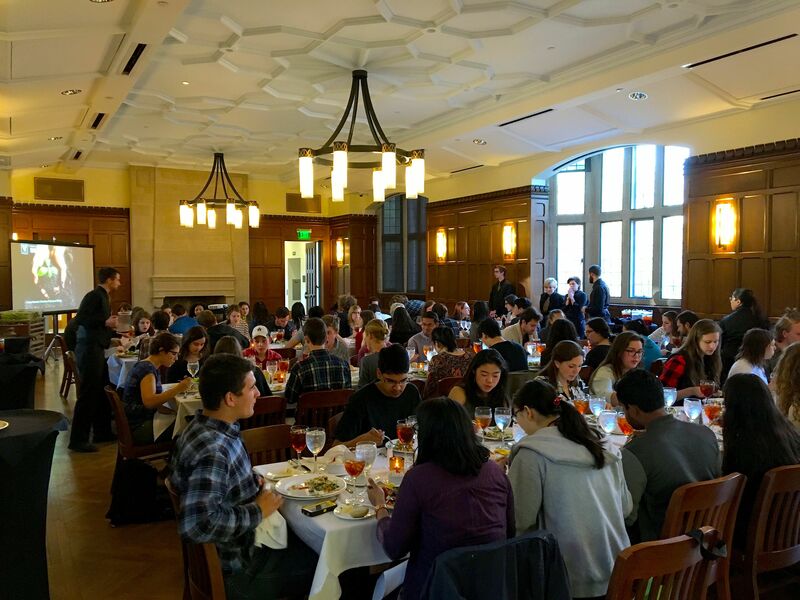 More generally, we want to spend our dining budget ethically, and want to engage with the Vanderbilt community on what the ethical considerations should be. 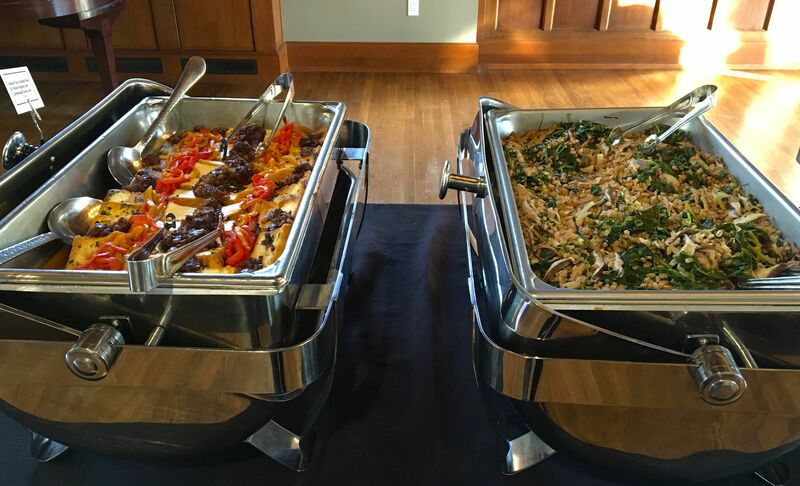 The dinner was intended to highlight the best of dining (small ‘d’) practices, with the menu and the service by our very own, and much loved, campus Dining. Doug Fisher is Faculty Director of Warren College. The opinions expressed herein are Doug’s, and are not necessarily the opinions of Vanderbilt University.